Hey gang, Vader here! Guess what? Well, first a little background. 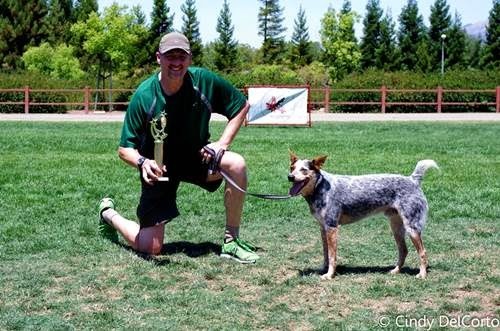 A few months ago my human and I entered a Disc Dog contest. We didn't do too well, but it was a good learning experience. 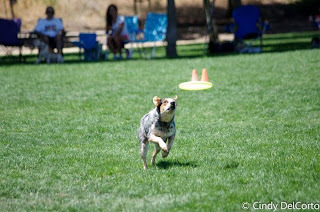 After that, my human practiced every morning with the discs, and then would practice almost every day with me, with disc catching. 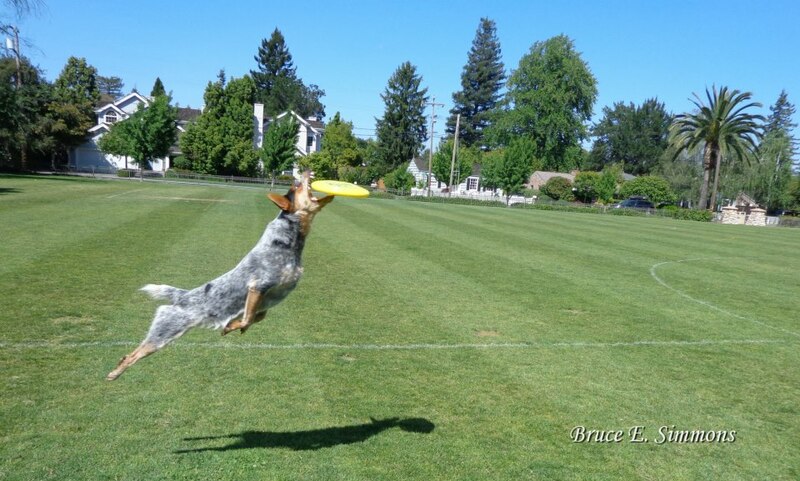 It's a fine art between me running and his throwing and timing it just right. It doesn't seem much different than being a quarterback on a football team. 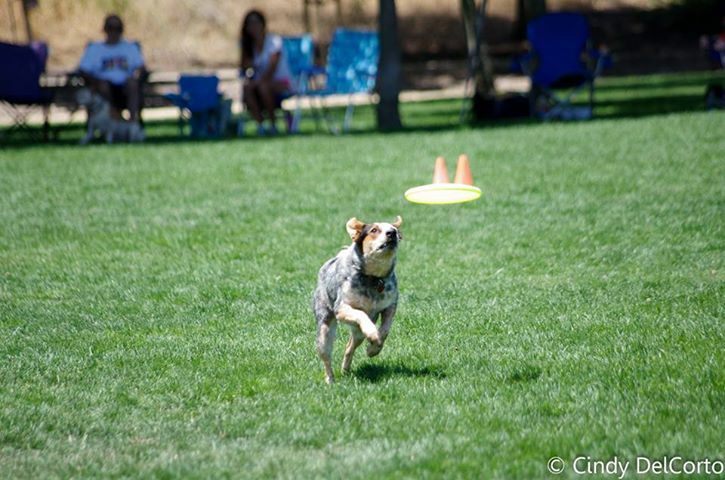 Except you don't get hit or run over by big guys in a Dog Disc competition. So come last Sunday, we go to the latest competition. 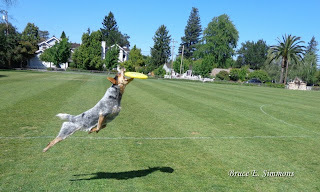 Morning practice, every human had a grip on tossing their discs, so practice was good. Then round 1 came up. But so did the winds! Everyone, including my guy, didn't throw too well. Sure enough, we did incredibly well in the second round and boom!, we scored so high in round two that we won our division! If you want, come by and say hi over on my Facebook page, Vader's World! We'd love to have you visit!